I totally thought that it would be a bunch of photoshop mash-up craziness. 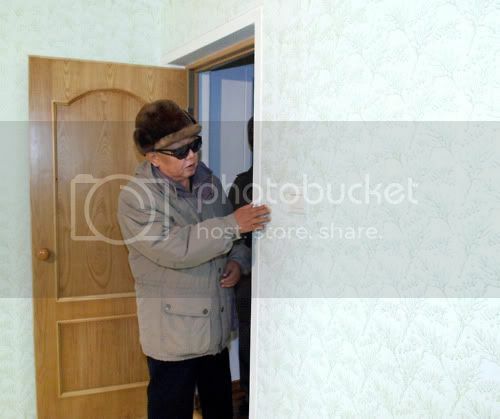 But no, apparently, Kim Jong Il just looks at things, haha. He almost looks like he has never even seen his country before and is visiting it for the first time...which, I mean that could quite possibly be true, haha. Enjoy!